Second single from Manudigital’s new album “Bass Attack”. After the June released Manudigital single “Bad” feat. General Degree, the French beatmaker, bassist and producer comes up with the second single from “Bass Attack” entitled “Bye Bye Boom Boom” feat. Red Fox. French beatmaker, bassist and producer specialized in digital Reggae, Manudigital, creates many concepts such as the “Digital Session”, where he is surrounded by French and international artists. It led to the release of the noteworthy “Digital Kingston Session” LP, which was released earlier this year. Its follow up entitled “Bass Attack” is due for release on October 5, 2018. After the first single taken from that album – “Bad” feat. 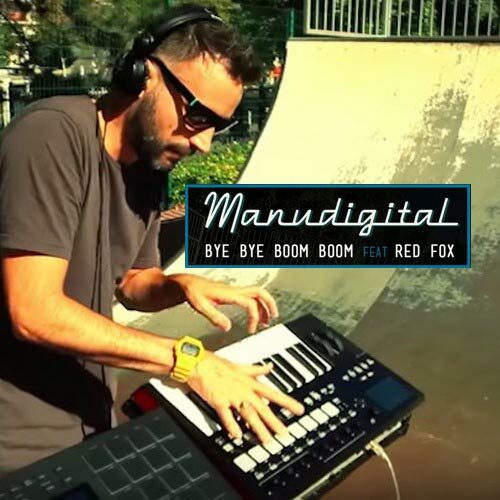 General Degree – Manudigital now comes up with a second single called “Bye Bye Boom Boom” feat. Red Fox.